The afternoon started with a 12 o’clock matchup between Xavier and St. John’s. The first half of this game was a back and forth battle with multiple lead changes. Xavier was lead in scoring with nine points by Trevon Bluiett who was named to the All-Big East First Team earlier on in the week. Bluiett, along with Kaiser Gates who had seven points, lead Xavier to a 33-29 lead at the end of the first half. St. John’s was lead in scoring by sophomore Justin Simon who had 12 points and a couple of threes to his name. Both Simon, as well as Marvin Clark II who had eight points, combined for 20 of the Red Storms 29 points. Xavier dominated the second half as St. John’s couldn’t keep up with the barrage of three’s. Xavier stretched it’s lead out to more than 20 points thanks to a 27 point performance by Trevon Bluiett. Xavier went on to defeat St. John’s 88-60, ending their hopes of a possible bid into the NCAA Tournament. The second game of the afternoon session featured a tightly contested game between Creighton and Providence. The first half was back and forth as both teams traded baskets early on. Providence jumped out to a six point lead with 10:21 to go in the half. The second half went down to the wire. With two minutes left, the score was tied at 56 after Creighton’s Khyri Thomas sank a pair of free throws. Marcus Foster then scored off of a lay up to put Creighton up 58-56 with 1:30 left in regulation. Providence battled back however. Alpha Diallo converted on a layup to tie the game at 59 with 13 seconds to go. Creighton had a chance to win but could not convert as the game headed into overtime. Providence controlled the overtime period and never gave up the lead. The Friars were lead in overtime by Alpha Dillo and Kyron Cartwright. Both Diallo and Cartwright scored all of the overtime points for the Friars. Providence College knocked off fourth seeded Creighton 72-68. 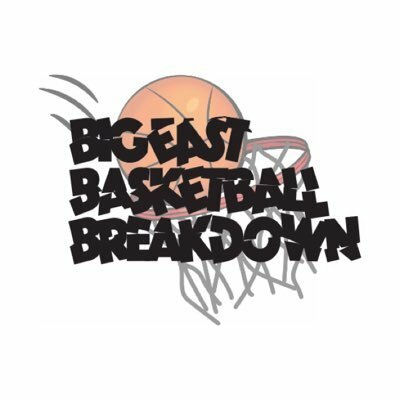 Providence will play Xavier Friday night at 6:30 in the semifinals of the Big East Tournament. With the win over Creighton, Providence is almost guaranteed a spot in the NCAA Tournament,, which is an accomplishment that Cooley is proud of.